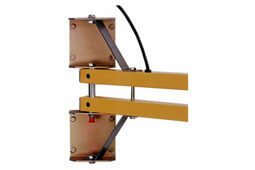 Magnetic Mounting Kit – A Magnetic Mounting Kit can be used with all Tri Lite light heads except HDLED units. Our durable magnet kit holds to most steel surfaces. Ideal for temporary applications such as lighting cargo containers. 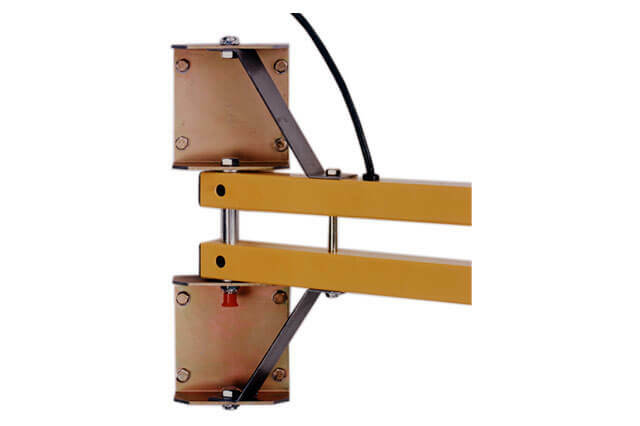 Heavy Duty Arm Bracket – Optional heavy duty mounting bracket provides additional support when mounting longer (90"+) arms and when fan units are added. Wire Guards – Wire guards are available for Polycarbonate, Metal and Gooseneck Light Heads. Wire guards, when used with recommended bulbs, can prevent fires. Guards also reduce the likelihood of objects penetrating light head and damaging the bulb. An optional security kit is available for use with polycarbonate light heads to deter unauthorized removal of bulb.